Science Confirms: The Body Clock is Real! The internal biological clock is also known as the circadian rhythm or the body clock. It’s a roughly 24-hour cycle that regulates a number of functions in the human body. This includes (but is not limited to) body temperature, hunger, daytime wakefulness, and nighttime sleepiness. Scientists have previously been divided as to whether or not the body clock is real. But the most recent research says that it most definitely is. This was confirmed by the Nobel Assembly who recently awarded 3 scientists – Jeffrey Hall, Michael Rosbash, and Michael Young – with the 2017 Nobel Prize in Physiology or Medicine for discovering the molecular mechanisms that control the human circadian rhythm. This simply means that chronobiologists were right all along. The circadian rhythm is something that affects everyone – not just sensitive people. Chronobiologists have long known that the Earth’s rotation plays a big part in how our internal biological clock is tuned. The problem’s that while this theory made sense, scientists were previously unsure about exactly how the clock works – until now. Thanks to the 3 Nobel Prize-winning scientists, we now have a clear idea of the very molecular structures that make our internal biological clock possible. Building on the work of previous studies on the circadian rhythm, the Nobel laureates observed gene mutations in fruit flies. Basically, they were able to isolate and more closely observe the ‘period’ gene – a gene whose mutations disrupted the circadian clock in the flies. They discovered that the ‘period’ gene encodes a protein known as PER, which accumulates at night and degrades during the day. From there, they hypothesized that the PER protein actually blocks the activity of the period gene until it’s switched off. Over time, the 3 scientists discovered other genes and mechanisms that contribute to regulating this process. For instance, they also discovered the ‘timeless’ gene, which encoded the TIM protein. 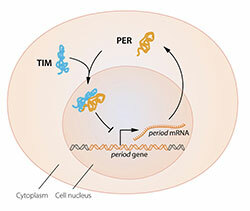 TIM binds with PER, allowing the two proteins to enter the nucleus and block the activity of the period gene. Another recently discovered gene is called ‘doubletime’, which encoded the DBT protein, whose purpose is to delay the accumulation of the PER protein. And just this year, the team has discovered even more proteins that affect the ‘period’ gene and regulate its synchronicity with the Earth’s 24-hour cycle. 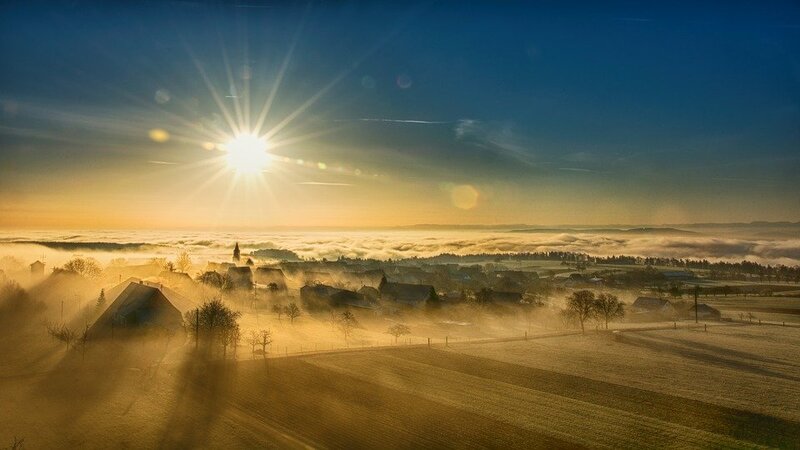 In short, the body clock is determined by gene mutations and the molecular activity of proteins. It’s no longer a theory; it’s scientific fact. So stop blaming planets in retrograde and other unproven reasons for why you get sleepy/cranky in the afternoon. The evidence-backed answer is right in our metaphorical backyard. What this all means is that being a ‘night owl’ or a ‘morning lark’ is not just due to preference. Your body clock is encoded in your very genes. No wonder the International Agency for Research on Cancer says that shift work is a ‘probable human carcinogen’. 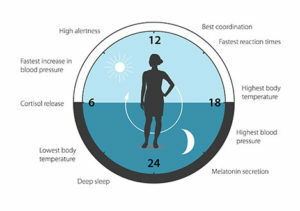 Humans, just like most living things on Earth, are designed to function on a 24-hour cycle. And not abiding by this natural cycle could result in various serious health consequences. Our ancient shamans were right: we’re all just slaves to that great, big, glowing orb in the sky.